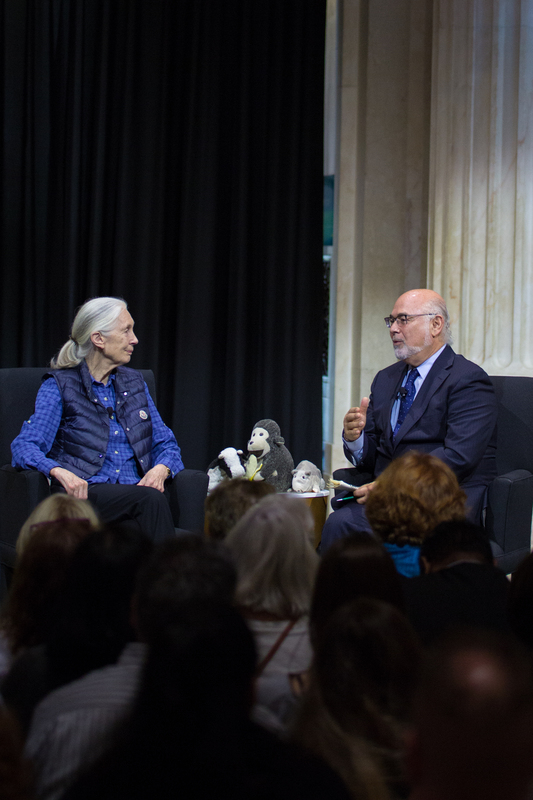 On Sunday, September 17, in cooperation with ICV and the Franklin Institute, Mr. Jonathan Granoff, President of the Global Security Institute, engaged in a riveting discussion with his good friend GSI Advisory Board member Dr. Jane Goodall at the Franklin Institute. 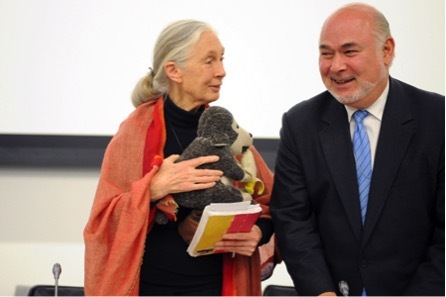 Dr. Goodall reflected on her work advocating for human and animal welfare and shared her views on addressing the threats facing the planet and how to create a sustainable and secure future for humanity. The video of our historic conversation can be found here.